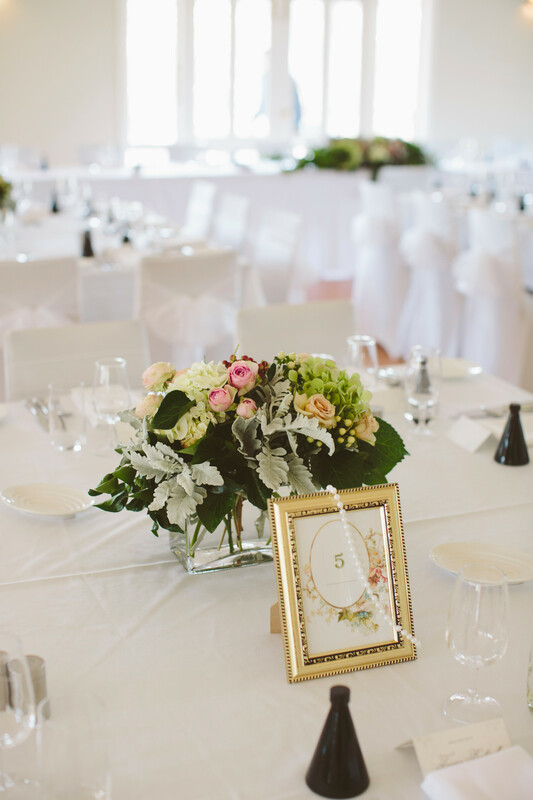 For Grace Botterill and David Vitti, both lovers of old movies and all things 1950s, planning a vintage wedding inspired by the decade helped them create the day of their dreams. Paying homage to the era, the couple went to extra lengths to source authentic pieces and style the special day to ensure it was an occasion to remember. 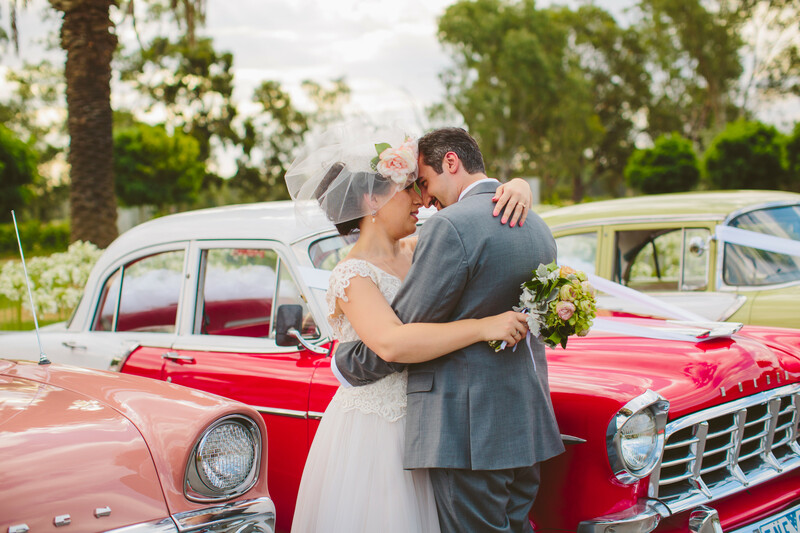 From the 1950s Holden cars used to transport the bridal party, to the Elvis impersonator at the reception and the custom-made traditional bride and groom cake topper, the whole day took the couple and guests back in time. 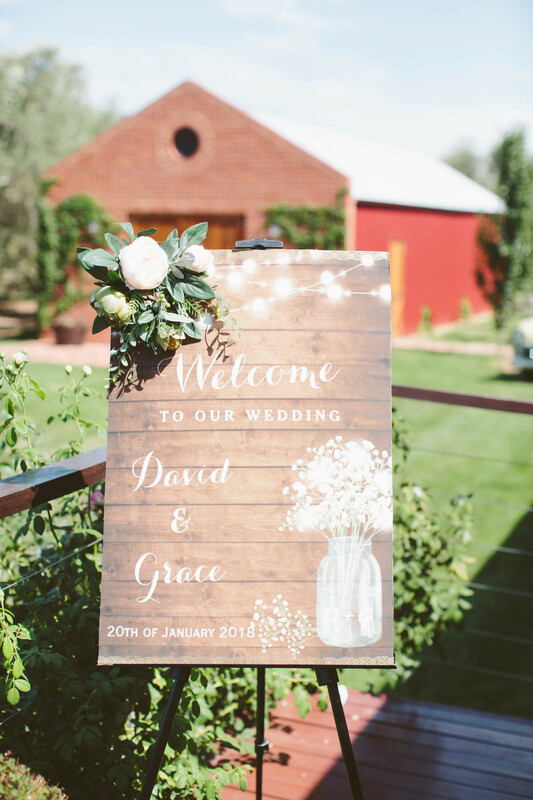 Grace said once she decided upon the 1950s theme she placed great faith in her various bridal vendors and they, excited by the prospect of designing something different, produced some innovative ideas. “Everyone we used helped us stay really true to our theme, they took my vision on board and didn’t try and steer me in a different direction,” Grace said. 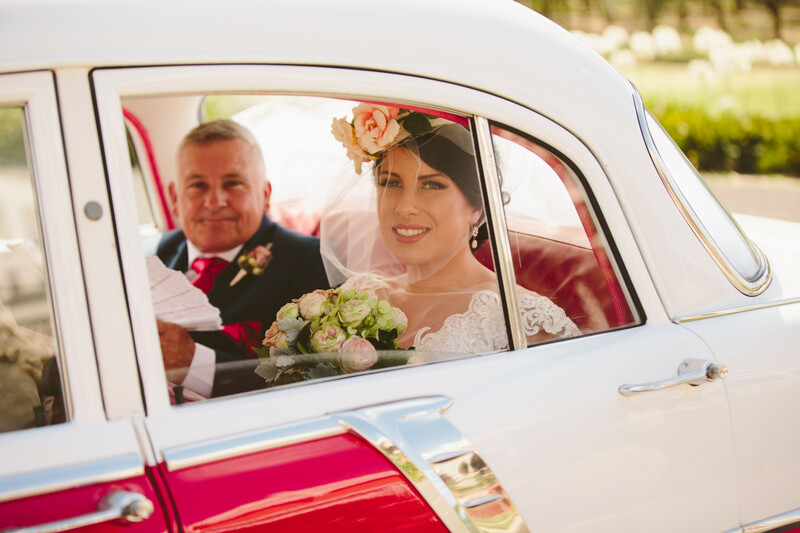 David’s suit was modelled on a style worn by movie star Cary Grant, while Grace’s stunning ivory lace, tea-length gown was designed and made by Brides and Maids in Shepparton and complemented by a pillbox-style hat base, layered with tulle and finished with silk flowers. 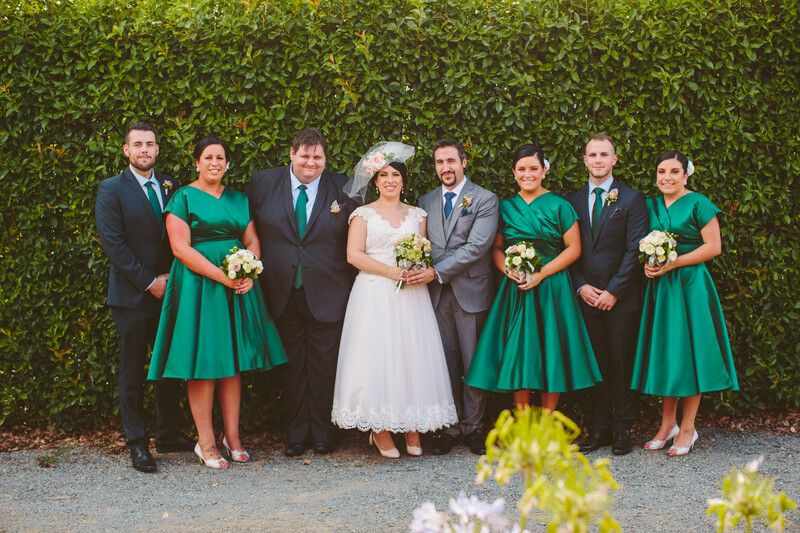 The bridesmaids’ striking vintage dresses, sourced from the United Kingdom, formed the basis of the colour scheme – forest green and white – chosen for the occasion, with hairstyles and make-up influenced by Hollywood icons Elizabeth Taylor and Audrey Hepburn. “In addition to the 1950s theme we were keen to pay homage to our heritage, and the town from which our families both originate – Shepparton,” Grace said. 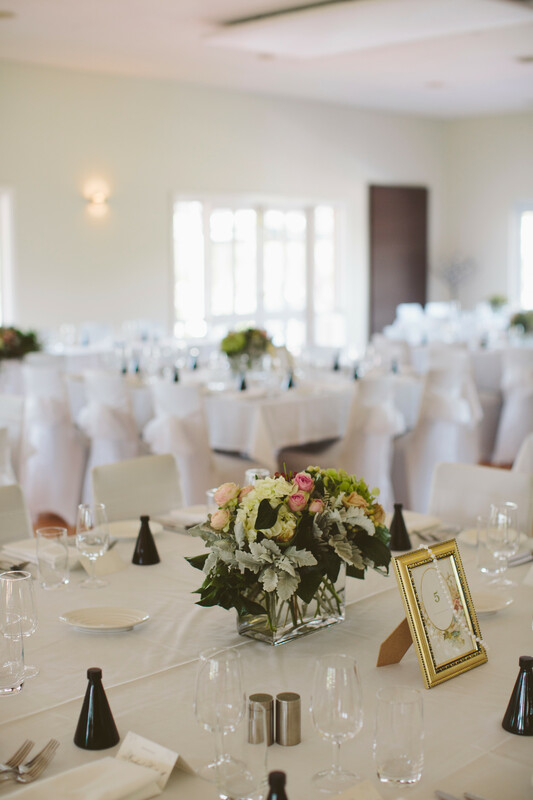 The Olivehouse Event and Function Venue was the perfect place for the couple to pay respect to this shared agricultural heritage. 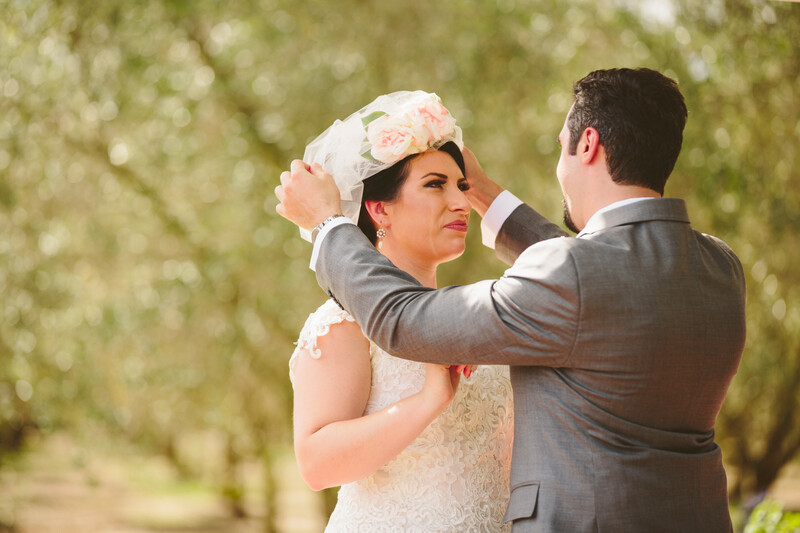 Despite their wedding day – January 20, 2018 – being a searing 45-degree day, that was all forgotten when David, waiting at the end of the aisle, locked eyes with Grace, on her father’s arm and ready to walk down and meet him. “It was just magic and a feeling I’ll always remember,” Grace said. Guests embraced the sense of fun at the themed wedding reception, joining in the dancing and singing along to Elvis impersonator Damian Mullin. Grace and her dad, Lindsay, practised for weeks leading up to the wedding for their unforgettable rock-and-roll version of the father-daughter dance, to Wanda Jackson’s Let’s Have a Party, the highlight being Lindsay’s ‘dead dog’ dance move. 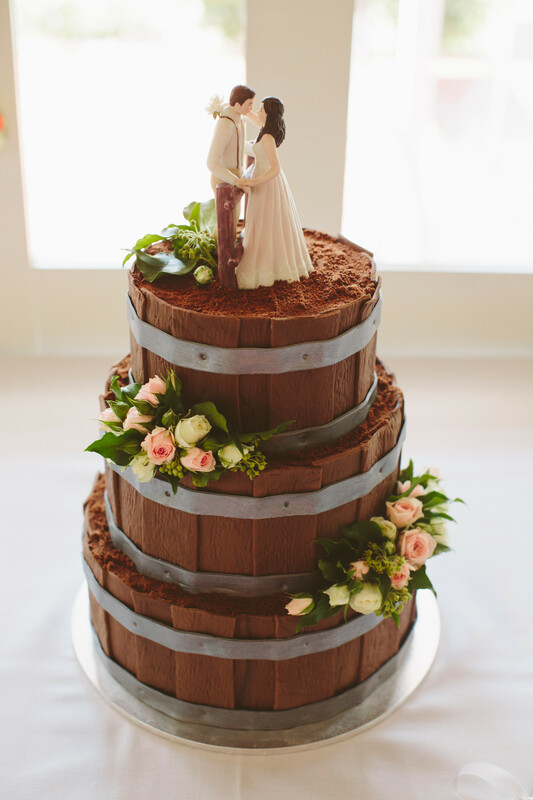 See more photos from Grace and David's wedding day over on our Instagram.